“Do you think perfume smells different on tattooed skin?” I ask Anaïs Biguine when we meet at Aubaine in Selfridges. Our table is tucked around the corner from the main gallery, in a section whose bleak air conditioning-vent covered ceiling has been cleverly transformed to an abundant hanging wisteria garden. Faux pale purple blossoms dangle from every available surface. “Of course not!” she replies, and this doesn’t have to be translated – Sharon from Aspects Beauty PR is there with us because Anaïs speaks French and my French is remedial at best (I understand more than I can speak, but I would have missed most of the conversation without help). “You don’t suppose the way in which bottles, packaging, colours… context affects our perception of scents could affect the perception of perfume sniffed from tattooed skin?” I ask, almost winking – I’m being a little bit playful because Anaïs has called her new Gri Gri (“good luck charm”) perfume range “perfume for tattooed skin” and I want to find out why. I see that the more daring people – people who have tattoos – will probably be more attracted to these perfumes. For this range, there was one very specific spark of inspiration, however. It is possible that [a fragrance] will take you somewhere that’s not good, and that’s fine. It’s a risk you have to take to do something completely new. Anaïs describes herself as a deep thinker and tells me of her daily meditation – we all have eyes to look into the world and meditation gives you the third eye to look inside. And because through meditation she effectively has a meeting with herself every day, it helps with her intuitive creativity. It was her yoga teacher who sparked off a burning curiosity about tattoos and eventually led to the creation of Gri Gri – perfume for tattooed skin. In some ways, Gri Gri became an artistic apology of sorts. Anaïs felt she had to be thorough, and so studied tattoo history, attended every exhibition she could find, read lots of books – and found a whole world she hadn’t known anything about before. She quickly realised that there were parallels between perfume which she really understood and tattooing, which she really didn’t. “A tattoo is a message that goes into your skin and perfume is a message that rests on your skin,” says Anaïs. Both are costumes that we display to the outer world – messages we send out about ourselves. “I am a specialist in narrative fragrances,” says Anaïs, “very caught up in history and stories.” Indeed, her first range Jardins d’Ecrivains was about authors and their gardens – a blend of perfume and literature, two of her great loves and sources of inspiration. She cites 19th century, baroque and the beat generation as landscapes she likes to travel over and over again and explore in different ways. For Gri Gri, each fragrance is its own story, with the tattoo and its subject as the starting point, which meant that Anaïs was keen to create fragrances based around smells native to that region and unusual raw materials – some of them artist’s impressions made up of naturals and synthetics, some locally-sourced materials. Anaïs feels synthetics are an important part of fragrance creation: “Synthetics enhance your palette immensely and allow the perfumer to express things one can’t with naturals alone,” she explains. She works with a Japanese technician in a Grasse laboratory to refine each scent. “She’s really good at balance, so we spend a lot of time working together. Every note has to sing,” says Anaïs. Every note has to sing. “I had lots of completely crazy materials sent to me from all over the world so I could explore the scent profiles and be inspired,” she explains. Moko Maori opens with a manuka honey accord so realistic I would expect bees to be attracted to the wearer of this scent – it’s not a sugary honey impression, but hay-like and very polleny. The fougere character becomes immediately apparent and the impression is of an ode to the perfumer’s fern, decorated with heavy New Zealand fantasy. The hay and pollen turn out to provide a counterpoint to the fougere-on-steroids accord; a kind of dampener which allows it to be overloaded. When I wore the scent for a few days I got a mental impression of a giant fern totem carved out of soap; of a hyper-lush alien forest full of exotic birds and insects; of a well-to-do body-conscious American juicer-type wearing it after a session with her personal yoga guru. Moko Maori is a genuinely new combination of olfactory impressions, yet achingly on-trend because it could really be described as a feminine fougere (and that’s all the rage right now, boys and girls). If Anaïs is on trend, she doesn’t attribute it to any kind of planning or market research on her part; just following her gut. She tells me that her methods are intuitive, she composes the scents for herself, and that she loathes the idea of thinking of a ‘target market’ or even a specific person when composing a fragrance. “Lots of fragrances are born for the wrong reasons,” says Anaïs. I found this was the one scent out of the whole collection that I couldn’t get out of my mind and felt a real craving to re-visit again and again. It felt like discovering a novel that stays in your dreams after reading it. According to Anaïs, Tara Mantra is based on Buddhist Sanskrit language which inspires wisdom and introspection. Most of the influence comes from India and Nepal. Anaïs has chosen a herbal theme for this scent – it opens with a soft saffron accord, much more reminiscent of saffron in food than in perfumery and the fantasy “hing” accord, based on an Asian cooking herb follows. In fact, the whole fragrance has a quasi-edible quality and on wearing it, I found a slightly unsettling fatty animal note lurking underneath, which made the experience like wearing some kind of mystic broth instead of perfume. However, as with all of the Gri Gri scents, I strongly encourage trying them on your skin for a while and seeing what happens. This scent may take you to a place where you want to be. Many fragrances (and indie fragrances especially) smell better on skin than on scent strips and what could be more appropriate for a range designed for ‘tattooed skin’ than perfumes which require your skin as the last ingredient. “I learned that the Japanese tattoo tradition was wrapped up in criminal activity, but that it has been largely reclaimed from that in recent years and become a really wonderful artform,” explains Anaïs. She wanted to make this a very theatrical scent; the most unusual of the three, and based it around a genmaicha tea accord. Genmaicha is blend of green tea and brown rice, and so the fragrance opens with a cereal-type accord which my nose interprets as hazelnut (though I was assured by my partner-in-scent Nick Gilbert that there was a recognisable genmaicha impression in this scent; he studies Japanese and his tutor has treated him to this beverage on occasion). However, whether a fan of hazelnut or genmaicha – this perfume is a really fun exploration and also (accidentally) rather trendy – there have been praline and nutty accords popping up in scents lately. This isn’t a fashion fragrance, so the nutty-cereal accord is dominant rather than a cautious hint. It’s a scent I really recommend experiencing for yourself, just for the ride. And I have to add this cheeky thought – far from the artistic inspiration of this scent, but one I want to share nevertheless – if you happen to be a fan of the Dove Deep Care Nourishing Lotion with Pistachio and Magnolia, I cannot think of a better perfume for you to layer it with. I was let in on a little secret – Anaïs is putting finishing touches on a new perfume for the Gri Gri range which she hopes to launch next spring. Anaïs wanted to play with the idea of turning the shock value up; of creating a scent that would be as bizarre as a head-to-toe tattooed woman in the 1920s, and so, Sideshow was born. It is a completely bonkers perfume of bubble gum, candy floss, leather and circus animal bedding – almost two scents in one – the pink ballerina tutu twirling into the ring first. It takes a moment for you to realise it’s been worn by a dancing bear. I wore Sideshow for a night and kept giggling at it, which is usually a good sign – I am not sure if I could get away with wearing this seriously, but on the other hand, I am a huge fan of wearing scents un-seriously. Tattoos have moved on, diversified, developed and become their own art form – above are a few wonderful examples of wearing art on your skin. “Having a tattoo is a strong statement for someone to make. A tattoo can make you feel stronger,” says Anaïs. It’s an excellent point. Many people choose tattoos as a way to mark their body after something else has marked it; or as a self-defining act. On the other hand, with so many styles and inspirations to choose from, tattoos have become just another way for people to decorate themselves and it’s no longer shocking to be tattooed. If Dame Judi Dench has one, I’m pretty sure anyone can. It’s no secret that I have a French love affair. They really know how to create the perfect balance between function, design, effect and value in beauty products. A bit of background: I know a lot about skincare and cosmetics because unbeknownst to me, my lifelong career started by selling fragrance and cosmetics as a teenager (mumble-mumble years ago…ok, in the 80s. I walked to work at the beauty counter of a nearby hypermarket after school on Fridays and worked weekends and holidays). I say unbeknownst because 1) I love that word and 2) I really thought I would become a linguist or a writer – everyone else did, too. Of course I did actually become a writer, but very much as a twin to my fragrance and beauty career. You may have noticed I write about fragrance and beauty a lot. So I’ve spent most of my life trying out products, being trained on them, selling them – later, training other people on them; writing training manuals and product copy – and eventually developing them and fragrances for them. Which means that when I test a new product (which I still love to do even though I’ve found my Holy Grail for almost every category – I think cosmetics are fun) – when I test a new product, I am a harsh judge. I won’t easily get seduced by pure marketing; I need the product to deliver on its promises, I need it to feel like good value for money (either because it’s so damn luxurious that it feels therapeutic just because of its “I’m-treating-myself-shush-now” value, or because the effect vs. its cost is just right). What the French pharmacies offer me is a treasure trove. Swiss aren’t bad either – I love many Swiss products with almost equal passion, but nowhere do I feel more like a kid in a candy store than at a good French pharmacy. The cult destination is, of course Citypharma in Paris (one can catch the Metro there very conveniently direct from Eurostar, but be warned – it’s better to drop your luggage off first because Citypharma is not a cult destination in name only; it is so in actuality, which means it is packed to the brim with shoppers and you will struggle to move among the aisles even without bags to drag around with you. Make sure to wear comfortable clothing, have a list ready and be prepared to queue). Happily, almost every product I would normally have to hunt down from various retailers or haul over in person from Paris is now conveniently available online. I say almost every, because some of the best-kept secrets haven’t yet made it over, and one of them can’t because it’s classed as a pharmaceutical. When I first discovered that Escentual.com in the UK has a ‘French Pharmacy Month’ every now and then, I was skeptical – but it turns out they have curated a great collection of products and during this recurring promo, sell them at 1/3 off retail price, making them cheaper than buying them in person from France (not taking your travel costs into account – I’m assuming that most people would go to France on holiday or to work and not to speficically to stock up on beauty products. But I know a few people who’d probably do the latter without batting an eyelid. Myself included). Therefore, below, I’ve linked to Escentual.com whenever I list a product they stock, because they tell me they’re about to run another 1/3 off French Pharmacy in July and it’s honestly the best place to just get it all in one go (I’ve been singing them praises long before I started talking to them about what they stock, so this is a genuine recommendation, not influenced by them in any way. I’m always grateful when someone makes it easier – and cheaper – to get hold of my favourites). Now, I have been told by a few people that I look younger than my age (on being told I’m 44, Anaïs Biguine recently called me Dorian Gray’s sister, which was a bit overkill, but an amusing compliment nevertheless) and that’s largely due to lucky genes, lack of drinking & smoking and a lifetime of hiding from the sun. However, I also know what to look for in an anti-ageing product. Sunscreen is the most anti-ageing product you can buy, so find a good one you can wear every day* and increase the SPF during summer (especially during holidays). Don’t forget to monitor your vitamin D levels (mine are naturally low so I have to take a daily supplement anyway). *Although not French Pharmacy, my Holy Grail for this category comes from Shu Uemura – their underbase mousse is all my face sunscreen wishes come true in one product (high SPF, no irritation or allergy to it, smoother appearance of pores; a make-up base and skin tone corrector). The first product I will recommend is one of the ones you will have to hunt down in person, have a kind friend send over to you, or find a reputable online stockist for. It is worth it. Every decent dermatologist swears by various vitamin-A based (retinol; tretinoid) treatments – when used together with a good sunscreen and moisturiser, these products can really reverse and hold back signs of ageing AND keep blemishes under control. The trouble with prescription-strength products is often that, well, a) you need a prescription, and b) they are harsh and can have side-effects. Not so with the wonder product that is A313 Vitamin Pommade (the closest replacement to the deservedly-cult-hit-among-those-in-the-know, Avibon). My special ‘sauce’ mix for A313 is this: take a small pea-size drop of the balm and blend it with an equal amount of a gentle moisturiser (I like to use La Roche Posay Baume B5 for this as it has a calming effect on skin). Blend to a paste, smooth over face at night, avoiding eye area – wake up to skin that looks like a baby’s bum. You can do these as treatments every now and then for a few days, or use mixed in with your night cream on an ongoing basis. Some peeling may occur if you do your retinol treatment on-off-on-off (your skin eventually builds a tolerance to it), but I wouldn’t necessarily recommend being on retinol if you’re about to go on a sunny holiday – soothing, calming creams at night and high SPF during the day work better in those circumstances. This is the best actual anti-ageing product I’ve ever tried and I love it. Vichy isn’t far behind as far as anti-ageing is concerned and their Vichy Liftactiv Advanced Filler is what I was using as an anti-ageing night treatment before I discovered A313. It is still a really good option, especially if you don’t feel like hunting down a specialist product and it really delivers – remember to wear a high SPF during the day and to soothe your skin with calming products while undergoing this kind of treatment (more about calming products below). Vichy Normaderm Anti-Age is my go-to everyday moisturiser because it is the perfect product for ageing combination skin – it keeps my skin clear, it doesn’t feel greasy during those times when almost everything else does, and it hydrates just enough (unlike many product designed to help with blemishes). Vitamin C is very difficult to keep stable (it breaks down in contact with air) and a lot of vitamin C treatments don’t really do a lot – however, Lierac has a wonderful, zesty vitamin C serum – Lierac Mesolift Serum, which I wrote about here. Another vitamin C hero is La Roche Posay Redermic C treatment – clarifying, tightening anti-ageing product that actually does something. You could alternate with retinol. La Roche Posay also has Redermic R for face and eyes – worth trying, especially the eye cream, as the eye area rarely gets such good anti-ageing treatment (the stronger products shouldn’t be used near the eyes). Another special treatment that’s both wonderful for your skin and keeps blemishes in check is Clarins Lotus face oil – and this is one of those incredibly good value luxury products because you really only need a couple of drops to do your whole face. Our skin loves natural vegetable oils (which are the base of this product) because they are highly compatible with the oil our own skin produces. The Clarins face oils are a beauty classic worth exploring for every skin concern. Vichy is a real winner here again – they have several products which are real heroes in their category. My favourite is probably Vichy Lifactiv serum 10 supreme – it contains high amounts of the humectant ingredient hyaluronic acid and if you use it under a good moisturiser, it will plump up your skin and keep it really well hydrated. Don’t use hyaluronic acid products on their own in dry atmospheres because the ingredient is so good at finding and holding on to moisture that it might end up sucking the moisture out of your skin if it can’t find it somewhere else. Happily Vichy is also a good brand for moisturisers – and their Vichy Aqualia Thermal moisturiser for normal & combination skin is my go-to cream when my skin is feeling thirsty. It has a light, fresh scent, it absorbs perfectly, and doesn’t leave the skin feeling greasy. They also do a version for dry skin, which is richer for those who need it. Vichy Idealia range is wonderful for when you’re looking a little sallow, or just want to have glowing skin that gets people telling you that you’re Dorian Gray’s sister. I wear the serum and the cream on days when I know I’ll be on camera or on days where I’ve not had enough sleep – it’s a little glowing secret which I guess is now not so secret any more. Embryolisse Lait-Crème Concentré is a cult product for a good reason – it is a fantastic all-round moisturiser; really hydrates, has a light floral scent and doesn’t irritate skin. It works beautifully on its own, over serums, or under SPF and make-up. When I worked as a make-up artist, it was important to have products in your kit that would be as universally suitable and safe as possible – this fits the bill. It is a pleasure to use, too, and treats skin gently but effectively. Nuxe products are pretty legendary and for a good reason – they are a sensual pleasure to use and do what they claim. My new favourite is the Nuxe Rêve de Miel Hand & Nail Cream which has a gorgeous lightly honeyed, slightly floral scent and which absorbs into painfully dry hands fast, meaning you can use it frequently until your hands feel soft and lovely again. I am also a fan of the Nuxe face masks – especially the Nuxe Crème Fraiche de Beaute Masque which is my favourite emergency moisture treatment to date. For dry, irritated skin, one of the best products you could try is Avène Cicalfate Repair cream which has a blend of micronized copper sulphate and zinc sulphate designed to soothe and repair. Its antibacterial action treats skin on face and body and it is suitable for adults and children. I have used it on irritated skin on the body and it works wonders. The texture is rich, so a little goes a long way. Many skin problems are due to disturbances in our skin’s natural barrier action (we have a protective layer of friendly microflora and sebum which can get disrupted when too many harsh products are used, when ill and so on). If your skin is dry, irritated and you needs an SPF product for the day, try the sunscreen version of La Roche Posay B5 balm – a rich, protective layer to help your skin heal and protect you from the sun at the same time. La Roche-Posay Serozinc Spray is a surprise skincare hero – it’s a zinc spray that calms down angry rashes, blemished skin and redness. It is an absolute staple here and it’s one of those products you can easily fill your suitcase with so leave room if you’re buying in person (I squished in two bottles on a recent trip). Caudalie Beauty Elixir is a wonderful addition to almost any beauty arsenal; it hydrates skin, boosts radiance and can be used to set make-up. Micellar waters became all the rage when the world at large realised it’s what all the French women in the know were using to remove their make-up. The idea is that while oil and water don’t normally mix, it is possible to create a solution where a little bit of oil is in suspension in the water-phase, and when you use them, there is no need to rinse unless you want to – making them perfect travel and late night companions. Not all micellar waters are created equal, alas. I’ve used one which was so poor at removing eye-make-up I threw it away. The best two I’ve tried are: Bioderma Sensibio H2O Micelle Solution and Vichy Purete Thermale One Step Cleansing Micellar Solution. Beauty blogger Get Lippie swears by La Roche Posay Respectissime waterproof eye-make-up remover and I trust her opinion on this (part of beauty blogging is endless make-up trials and that means a lot of removal, too). If you have a serious lip balm addiction, you may already have heard of Nuxe Rêve de Miel Honey Lip Balm. It’s a great treat for parched lips and the only issue is not trying to eat it all off. There are clearly more wonderful body lotions in France than you can shake a stick at, but one of the most tempting surely has to be Vichy Ideal Body Balm – that same kind of glowing, healthy skin for your body? Yes, please. One of my favourite new discoveries has been La Roche-Posay Toleriane Ultra Overnight – it actually helps repair your skin’s natural barrier which I talked about above; it moisturises just the right amount and calms down redness and irritation. If you’ve overdone other treatments, have been ill or under the weather, your skin is just acting up, or looking tired, this could be the answer. I have used this almost exclusively as a night cream while taking a break from retinol and it has made my skin more even-toned and healthy-looking. I’ve talked about a few SPF products here – but if you are looking for all-over suncare, do try La Roche Posay’s and Vichy’s ranges, both come in many convenient options from milky lightweight fluids to richer creams and are easy to wear. Klorane is a great blend of natural and effective synthetic materials, plus attractive scents; all of their ranges are great. I love the Klorane Oatmilk Gentle Dry Shampoo Spray which suits my light hair in its original formula, but is also available in a tinted version for darker hair colours. It has a very subtle fragrance and works well as both a dry shampoo and a styling product. It’s one of the best dry shampoos on the market. I also adore the shampoos and conditioners – the Camomile Shampoo for Blonde Hair is an old favourite. At least half the reason I keep returning to it is the comforting camomile fragrance. Phyto is a great natural-based hair range and I especially love their masks such as the Phytokeratine Extreme Hair Mask – it’s not silicone-laden (which my hair does need, but not in excess, so this is a nice break from that), and it strengthens weak strands post-colour and heat damage. Another cult Nuxe product is, of course, the multipurpose hair and body oil – Nuxe Huile Prodigieuse Multi-Purpose Dry Oil Spray – one of the most fun products to try from this list and a treat for hair pre- or post-shampoo. For troubled hair and scalp, you could try another cult favourite – Rene Furterer Complexe 5 Essential Treatment – the whole range from Rene Furterer is worth exploring for serious hair care. 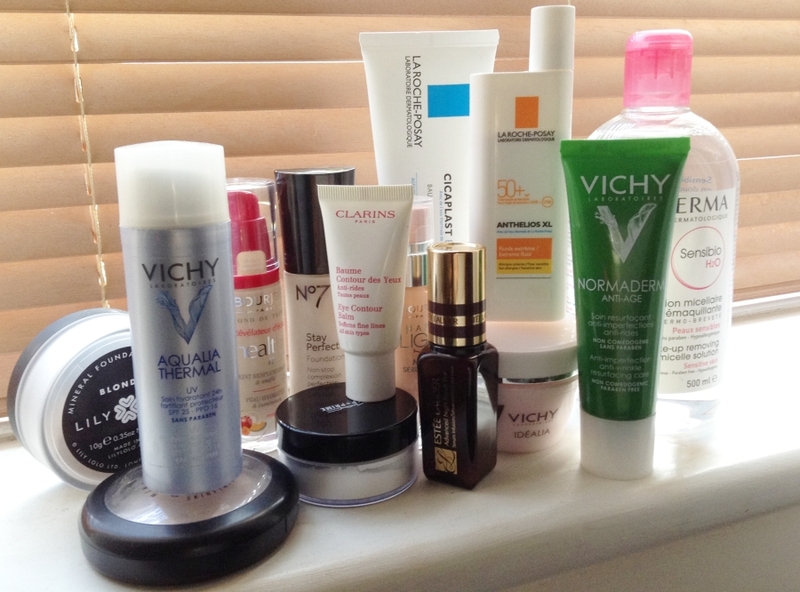 What are your French pharmacy favourites? Any that should have made the list? Disclaimer: La Roche Posay Toleriane Night provided for review purposes by La Roche Posay UK. Nuxe hand cream, Avene repair cream, La Roche Posay B5 with SPF40, Bioderma Sensibio and Klorane Oatmilk shampoo provided for review purposes by Escentual.com. All other products blogger’s own. Review products do not influence content in any way. Nothing in this blog post should be considered medical advice. There are a few hair and beauty products that I don’t like to run out of. In fact, I get so twitchy about the prospect of being without these that I have been known to buy back-ups. There are a couple of tubes of Vichy Normaderm and several bottles of Matrix Biolage Hydrating Shampoo ‘in stock’ in my bathroom cupboard at the moment. I’ve spent most of my life involved in beauty some way – and it’s given me plenty of opportunities to try things out. One of the most frustrating things about searching for and then finding a so-called Holy Grail (the ultimate; the perfect match for you in its category) product is that it’s not immune from being discontinued. And let’s not get into discontinued fragrances or I might just break down. Being Finnish, I’m not as pale as our Celtic cousins, so there are some warm yellow and neutral tones that need to be carefully matched. Too ‘ivory’ and I look like a freshly awoken vampire – too ‘neutral’ and I look like a waxwork doll. Too ‘warm’ and my face looks dirty. Enter Bobbi Brown Warm Ivory Creamy Concealer – the perfect shade and the perfect concealer. It’s a creamy fully pigmented product that glides on, stays on, and blends incredibly well. No cakey appearance, no bulk, no problem. Unfortunately blemishes don’t always vanish when you get older – at 40-something I’d really have hoped to only have to worry about wrinkles and sunscreen. But no, that would be far too easy. I struggled to find a skincare product that would somehow, magically, take care of both problems and turns out Vichy had one. I couldn’t have created a better night cream for myself if I tried. Vichy Normaderm Anti-Age is a lightweight hydrating cream with glycolic acid and I use it as a night cream for about half of the time (at other times I either use a lightweight serum with a moisturiser on top, or am treating my face with a retinol product). With any kind of acid or retinol treatment (never mind with pale Nordic skin), you absolutely have to look after the sunscreen side of things. In fact, out of all the ‘anti-ageing’ products out there, sunscreen is the most effective. Yes, we need sunshine to be healthy and yes, a light tan can look attractive, but I don’t know a single skincare expert who doesn’t wear sunscreen on their face all year ’round and increase the SPF for holidays. With paler complexions, the SPF has to be quite high – I burn to a crisp in half an hour in full sun and even with a high SPF, I’ll get freckles no matter what. Finding a high SPF product that doesn’t turn any make-up you try to put on top into a gloopy mess – not so easy. Until you try Shu Uemura Underbase Mousse SPF35. I use the Beige one (there are shades for almost any skin tone). It’s the perfect base product – it evens out skin tone, makes my make-up last longer and takes care of the sunscreen problem. Now I just have to take vitamin D supplements to ward of deficiency. There’s another primer I can’t be without – Urban Decay Primer Potion – the best eyeshadow primer in the world. One of the things they don’t tell you is that when you get a bit older, your eye make-up starts to misbehave. Eyeliner smudges. Eyeshadow gathers into creases. Not a good look. The UD Primer Potion stops this nonsense entirely. Your eye-make up will last until you’re ready to take it off. Mascara can also run and smudge – even when it claims to be waterproof. Not so with the mascara that sounds like someone from the Fast Show invented the name of it for a Japanese sketch: Kiss Me Heroine Make Long & Curl mascara (try eBay and Amazon – I bought my first one in Tokyo a few years ago and have been schlepping it over by any means necessary ever since). It contains fibres and makes your lashes look like you’ve pinched them from an anime character. It does not smudge…or come off at all for that matter until you remove it with its special remover (which I suspect is mostly mineral oil in mascara packaging). Do not buy this mascara without getting the matching remover. Due to the difficult removal, this is not an everyday mascara (that discontinued Maybelline was… sigh), but for special occasions, it’s my HG product in this category. Speaking of being Nordic, there’s the hair. Fine, mousey – high maintenance if you want to do anything adventurous with it. I’ve always been adventurous (even when I’m giving my hair a rest from colour and bleach, I still can’t resist getting highlights), so it requires a lot of looking after and well-chosen products. Matrix Biolage Hydrating shampoo is my Holy Grail shampoo, no doubt about it. There are others which are okay and I switch around sometimes (like the Klorane range, Redken and a few others), but I always have a bottle of the Biolage shampoo in my bathroom (and a back-up bottle or three in the cupboard). It leaves my hair feeling like hair. Like healthy, strong, clean, shiny hair. I know this sounds like it should be the basic function of all shampoos, but let me tell you – most shampoos leave my hair feeling like straw. Or stretchy plastic. Or fluff. I use a number of ‘everyday’ conditioners which are fairly interchangeable (my shortlist of favourites: the matching Biolage conditioner, Matrix colour care conditioner, Redken, Klorane and Pureology), but when I feel my hair needs a treat or I want it to look as perfect as it can be, I reach for the Redken Heavy Cream hair mask. It might seem a little counter-intuitive to use such a product on fine hair, but a little goes a long way, and nothing makes my hair feel as healthy and soft as this product. I also have the matching leave-in conditioner for straw-hair bad hair day emergencies (though it’s easy to overdose, so go easy on it if your hair is fine like mine). It’s not a good idea to wash your hair every day if you can at all avoid it – it’s one of the most damaging things you can do to your hair – so in-between washes, I like to use the Label M. Protein Spray to straighten out any kinks, refresh and protect in one go. Over-using a protein spray is not recommended because it’ll make your hair feel crisp and brittle, but moderate use every couple of days is just right. One of the bonus features of this product is its light and refreshing, herbal-style scent. It isn’t sickly or overwhelming like so many scents for these types of products (I don’t want my hair products to compete with my perfume and when working in the lab or evaluating other people’s scents, the last thing you want is for your hair to be a fragrant foghorn right near your nose). I’m yet to find a replacement for the discontinued Chanel foundation (that’s a whole other blog post – I’ve spent a lot of time and money searching and tried dozens of foundations in the process), nor have I found a lip colour as perfect as Incognito (it was a mauve-y pink with gold shimmer). I’ll live. This list wouldn’t be complete without mentioning MAC Studiofix in NC15 which has been my trusty touch-up companion since it was first introduced in the 90s. I used to use it as an all-over foundation with just some concealer underneath, but with older skin, powder foundation starts to look ageing and flat, so this product has now taken a secondary role. I have to mention some fragrances, too, or this just wouldn’t be a representative list – the three scents I have gone through several bottles of in the last few years are: Mandragore by Annick Goutal, Daim Blond by Serge Lutens and Alien by Mugler. Considering that my ‘regular rotation’ has 40 or so scents in it, and that I own over 80, going through a single bottle of anything is close to miraculous, never mind several. What about you? Any products you simply *can’t live without? I’ve spent years in various perfumeries and cosmetic halls; working in them, training people who work in them and shopping in them. The re-vamped cosmetic department at Fortnum & Mason is a uniquely serene and beautiful shopping environment which I urge you to visit for yourself. The styling is more like that of a luxury hotel lounge, and that’s a compliment as well as the only criticism – it feels like the decor and placing of products has been done to make it a luxurious and attractive setting without enough thought to practicality. There are no scent strips near fragrance testers; stock from the same company can appear in more than once place, it’s not clear whether some ranges have been split into femine and masculine or that’s ‘it’ – and the placing of products is needlessly sparse (I spotted a Guerlain I am running low on but it was the only bottle on the shelf and I did the typical “nobody buys the last bottle” thing that consumers do). Now, on to the positives. If you have the money to spend on luxury cosmetics and perfumes but do not want to fight for room with a thousand other people pushing past you; if you are desperate for some good advice about make-up and skin care and would like amazing customer service (more like personal shopping), go to the Fortnum’s perfumery. They had me spending money, too, even though I am usually extremely picky about what I buy. They also stock one of my favourite make-up brands of all time, Cosmetics a la Carte (it became a favourite when they cleverly partnered with London College of Fashion in the 90s and supplied products for the student kits). I do hope this perfumery thrives (just enough so they can maintain that level of customer service) and that they will carry on buying in great indie perfumes, luxury brands and professional quality cosmetics. The skincare side could do with a little bit of expanding, but I suppose they will need to see what their customers are going for. Many gorgeous luxury toiletries and accessories are also on offer. The Caron urns – a favourite attraction from the old perfumery – remain, thankfully, and have been joined by some other set pieces worthy of attention. Don’t take my poor phone snapshots as representative; pop in and see for yourself. 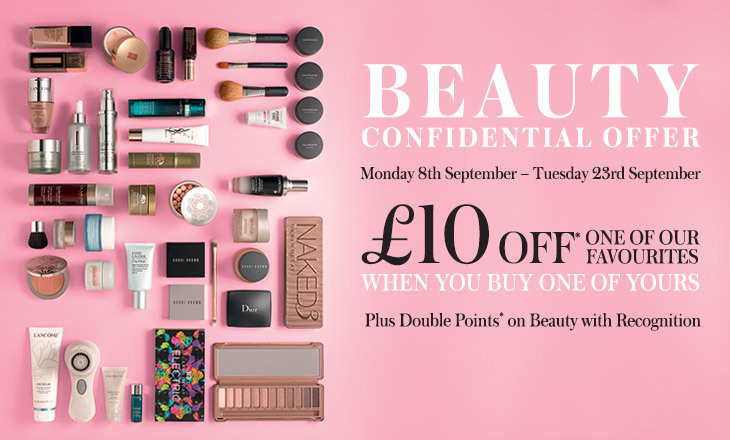 House of Fraser is running its bi-annual beauty extravaganza, Beauty Confidential, again this September, and this year, the British Society of Perfumers is also involved. I will be at House of Fraser, Oxford Street, on Tuesday the 23rd of September for the evening (5pm to 9pm), to help out. Virginie Daniau of Parfum Parfait (a consultant to the fragrance industry), and John Bailey (perfumer, an ex-president of the BSP, and its current – and first – Ambassador) will also be there on the 23rd. Friday 12th of September (with guests Matthew Williams of IFF, Helen Hill from Azelis, and Karen Gilbert, a natural beauty and fragrance expert). Thursday 18th (with guests Helen Hill of Azelis, Peter Whipps, current president of the BSP, and Virginie Daniau, of Parfum Parfait). 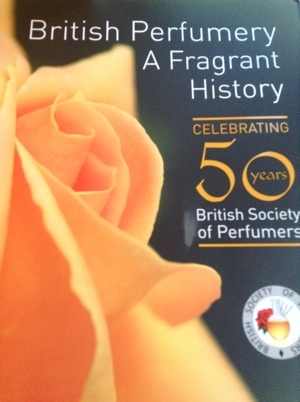 We will be talking about BSP’s book, British Perfumery, a Fragrant History, and there will be presentations about a new fragrance brand, Jamal, and lots of interesting fragrance ingredients to sniff (natural materials such as orris, orange flower, sandalwood and patchouli, and many popular aromachemicals such as cyclemax, a lily-of-the-valley material, delta damascone, a popular ingredient in fabric conditioners, and many more). During the event, copies of the BSP book are also on sale, and can be purchased for half the usual retail price of £45, for only £22.50, with a £60 spend on any fragrance on the night. I hope to see you there, and I’ll quite probably do a bit of sneaky make-up shopping before the presentations (great opportunity…). Why is the fragrance industry so secretive? Why aren’t perfume ingredients listed in full? Why do we have to rely on a generic list of everything that could possibly be in fragrance, issued by IFRA (which rather puts a dampener on the scaremongers who claim that fragrances are full of “secret chemicals”. Having said that, the list is probably not exhaustive – the rise of kitchen sink amateur perfumery, and of independent natural perfumery means that there are people tincturing, distilling and otherwise producing some of their own materials). Why does the fragrance industry insist on apparently circumventing laws which affect other cosmetic products (fine fragrances are, after all, classed as cosmetics as far as regulators go)? Or food – let’s look at food. Why should fragrances earn special treatment when food companies must list all of their ingredients? With gas chromatography-mass spectrometry (GC-MS), surely every competitor will know what is in the fragrance anyway? Good questions. However, there are some answers which may shed light on the reasons. I don’t pretend to know all of them, nor do I wish to attempt to defend, or speak for the industry as such, but there are many reasons why fragrance remains a special case. The cooking analogy seems so attractive. There seems to be no difference between cooking and perfumery. Except, of course there is. Some rather big differences, actually. Flavours in processed food can be hidden from us, much the same way as fragrances can be in cosmetics or household products. “Natural flavour” on the ingredients list could mean a complex formula, and there are good commercial reasons for keeping them secret. What would happen to the Coca Cola company if they had to list their flavour on the bottle? We all know that other cola brands exist, and while they’re all recognisably ‘cola’ (a mix of citrus and spice), none of them taste like Coca Cola*. With food, if you start with cheap ingredients, you may be able to transform them to something edible (and some cheap ingredients like lentils are actually very good for you), but if you took a piece of cheap meat, you’d never transform it into a good steak. With cooking, one usually can tell what one is eating (unless you’re eating a very clever dish from Heston Blumenthal). With perfumery, the whole concept is based on a kind of olfactory illusion. Good perfumers are illusionists. They exploit the combinational nature of our olfactory perception, and create accords; mixtures of ingredients which together smell of their own smell, rather than of an obvious combination of the materials used. In other words, a perfume is greater than a sum of its parts. The cost of ingredients doesn’t necessarily determine the finesse of the finished fragrance. Accords form the basis of conventional fragrance families (chypre, oriental, fougere and so on). When we perceive a fragrance, our brains create a cognitive construct of the smell based on many factors, including our genetic make-up, scent memories, cultural preferences and so on (about which I wrote extensively for ODOU, Issue 1). Everyone’s cognitive construct is slightly different, and will recall familiar smells, imagery, emotions and events unique to that person. Ask yourself – would it be fair for us to insist that before we go to see an illusionist, or a stage macician, we should be given full disclosure of exactly the tools and techniques used to achieve their magic? Would it enhance their performance, or ruin it? Would it affect their earning potential? Safety is a consideration, of course. Perfume safety is mostly looked after by an industry-controlled body, IFRA, which responds to the recommendations of an independent research body (RIFM), and tries to communicate with regulators to reach reasonable conclusions about fragrance safety. Unfortunately, this process hasn’t been perfect, and has left fragrances needlessly over-regulated. There are many conspiracy theories about IFRA, too, one of the most popular ones being a ‘destruction of naturals so that the main members can take over the market with synthetic alternatives’ which doesn’t ring true the moment one explores the topic further. Just check out the revenue each of the main IFRA members earns from the production and distribution of natural materials, and think whether it would make good business sense to kill that part of the industry. Never mind the astronomical cost to fragrance manufacturers, should everything have to be re-formulated (that’s right – the cost of reformulation has to be covered by the fragrance supply house, not the downstream users). I will write more about that another time. Nevertheless, this post is also partly an attempt to explain the need for an industry-controlled body; there should be reasonable expectations to keep certain things a trade secret, providing consumers are protected. While the interface between the industry and law-makers leaves a lot to be desired (talk about cracking a walnut with a hammer, anyone? ), the current system could still be a basis for a healthier appreciation of real risk vs. just banning fragrance outright (which could happen if scaremongering organisations like the Environmental Working Group get their way – this is the type of lobbying* which leads to EU and international pressure to ban and over-regulate fragrances). We must promote scientific literacy, and proper evaluation of risk (context and dose matter). For example, we all know that radioactivity is bad, right? 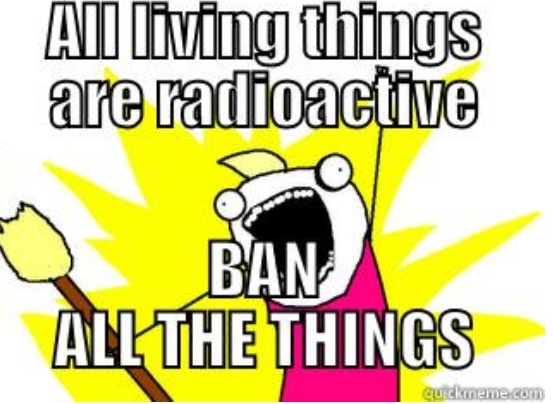 However, all living things are radioactive. Ruh-oh! Now what? Ban all the things! Perfumes can create extraordinary associations for us. Scents can instantly remind us of things. That, combined with the suggestibility of the human mind (and its preference for narrative structure to information) means that perfume marketing has always been full of stories and fantasy. We love stories, and they help sell products. When the scent of a consumer product matches expectations, its users perceive the product to be more effective. This has been studied – give people two identical shampoo formulas, and the one with a successful fragrance will be perceived as having left the hair cleaner and shinier than the other. Listing ingredients for a perfume is about as informative as listing every paint used to paint a picture. Actually, even less. By the time colours have been blended, they will look different to the prime colours they originally were. Mona Lisa contains blue, green, yellow, red, black and white. Can you tell, based on that, what it looks like and whether you’ll like it? Good perfumers also know that rose oil doesn’t smell of roses in bloom, it smells of rose oil, and to construct a rose-in-bloom, one must construct a rose accord (which can be enhanced by the use of natural rose oil, of course). To construct a lily-of-the-valley, one must use many synthetic materials because the flowers don’t yield an essential oil. Using a little bit of bergamot or ylang-ylang in a lily-of-the-valley accord can enhance it. If one were to list ylang-ylang on the ingredient list of the finished product, one could put off a consumer who loathes the smell of ylang-ylang itself. In a well-built lily-of-the-valley accord, the ylang-ylang would not stand out, and would instead form part of the rich, floral aspect of the lily-of-the-valley scent. A good perfumer can make cheap materials smell expensive, and a bad perfumer can make expensive materials smell cheap. (There is a breaking point with the former; if you have an extremely low budget, or are developing a fragrance for a hostile base product, say bleach, you’re a bit stuffed). Cooking is a basic survival skill, and simple forms of cooking should be taught to all. Perfuming things is more of a frivolity, and not essential to survival (though I have many friends who would disagree), so the skills to make fragrances for consumer products have not been essential general knowledge. On the other hand, in Victorian times, cooks were regularly concocting fragranced creams and other products in the kitchen, and barbers might also have been perfumers, and amateur perfumery is once again on the rise. I don’t think the industry has considered this aspect of fragrance safety enough, and it might be better to find ways to reliably inform the general public without giving too many trade secrets away, than risk a kind of perfumery black market, which is already establishing itself. Familiarity and the feeling of safety are essential when marketing products. Listing the names of natural materials that the accords in the fragrance are meant to represent is much more effective than listing the ingredients used to create the effect. Consumers are far more likely to have positive feelings towards a product which lists “lily of the valley” as an ingredient, than a product which lists “hydroxycitronellal, citronellol, alpha-terpineol, phenylethyl alcohol, indole, lilial, florosa…”. Another issue is practicality. I made a very simple lily-of-the-valley accord last week, and the ingredients ran to over a dozen (about 15, if I remember correctly). If I were to use that fragrance base at, let’s say, 1% in a fragrance compound consisting of 10 ingredients, I’d end up with a list of 25 ingredients before I even added the finished fragrance to a product. The product itself might have 20 ingredients, so you’d end up with a list of 45 ingredients on a label. Not only would they be highly unlikely to fit on a label, the long list would needlessly scare consumers who have been taught that a) “simple is best”, b) “chemicals are bad” and c) “unless you can pronounce the ingredient, it’s bad for you”. (a) everything is made up of chemicals, b) not necessarily, c) try some of these). We all love the idea of natural materials. The concept is just so safe and… wholesome. Natural jasmine absolute smells wonderful, and can do wonderful things to a fragrance. Natural oakmoss is tough to mimic. All-natural perfumery seems like a superior concept; safer, unaltered from how Nature intended (replace that with God if you’re religious). Marketers and product manufacturers have always appealed to our emotions. We instinctively gravitate towards the word “natural”. There are silent words between-the-lines. Natural = safe, in our minds. Say, would you like some natural arsenic? In safety terms, and in terms of appropriate use, “natural” is a meaningless concept. We shouldn’t confuse an emotional and aesthetic argument with one about safety. There are, therefore, some parallels with the cosmetic industry here; many ingredients on cosmetic product labels sound very scary and synthetic, but are actually there just to perform a function, rather than to do anything for the consumer. Waxes, opacifiers, thickeners, emulsifiers, foaming agents and preservatives are needed to create cosmetic products, and the role of these materials is to make the product what it is. The list of active ingredients (let’s say, a humectant like hyaluronic acid), can actually be quite small. It can be difficult to reassure consumers that a preservative is a necessary evil, or that some scary chemical-sounding ingredient is actually a completely benign wax, used to thicken the product. In an ideal world, everyone would be scientifically literate; we’d all be comfortable evaluating risk and context, and we’d skip and hop through fields, not only naming the plants we’re seeing along the way, but knowing that they’re all little chemical factories. In this ideal world, we would be more comfortable about labelling all products in a totally transparent way. It could be an interesting experiment to insist natural products are labelled similarly, as per the James Kennedy example. Rose oil is made up of hundreds of chemicals, though (over 300, I believe), so it could get logistically impossible. In fact, the main argument over the several dozen new fragrance ‘allergens’ identified by the SCCS is about how manufactures will label their products with the total number of ingredients and ‘allergens’ which must be listed soon running into silly numbers. There has been some talk about listing everything on a peel-off label, or on websites, but there has not been a decision yet at the time of writing. Back before gas chromatography-mass spectrometry (GC-MS) became commonplace in the fragrance industry, chemists and the fragrance material producers they worked with, were able to create chemicals and mixtures with deliberately obscure trade names, in an attempt to mask the true nature of the substances in question. That’s why ‘aldehyde C14’ is not really an aldehyde, for example (it’s really a lactone, gamma undecalactone, to be precise). However, even with a GC-MS machine and a good database, a skillful operator is needed – the readouts can be matched to entries in a database, but it takes a knowledgeable person to identify what the likely answers are. A single peak can be matched to several potential molecules. In natural materials, certain chemicals go together (biological processes and chemical reactions create recognisable chemical “fingerprints”). So if you’re analysing a natural oil which contains anethole, you should also find estragole (methyl chavicol). Fragrance mixtures can’t be patented or trademarked. This is a problem for an industry which relies on selling fragrance mixtures to brands and product manufacturers. There are various methods with which to make copying fragrances tougher. Even a simple fragrance formula can contain one or two proprietary chemicals (that is, fragrance molecules developed by the company manufacturing the fragrance compound. New molecules can be patented and held “captive” for the duration of the patent, thereby giving the producer of said molecule a commercial advantage). I don’t think it is unreasonable to ask that a company whose income relies on creating and selling formulas to a third party (whilst said formulas cannot be patented or trademarked) should be allowed to keep aspects of the formula secret (allergens and IFRA-regulated constituents have to be revealed). Bases are a common other trick – let’s say I wanted to make a floral fragrance and use some of the lily-of-the-valley accord I made earlier; I could add that, plus a two or three other bases to a skeleton formula. The finished fragrance compound could end up with a hundred ingredients or more, many of them present at just trace in the finished (diluted) product. There are many fragrance materials which impart a noticeable effect on the smell, even at trace amounts (aldehydes, animalic materials and lactones, for example), but when they are present at low quantities, the GC-MS trace will have numerous small peaks, which can be tricky to analyse correctly. The trace is not like a Tesco receipt; it takes skill and a good-quality database to interpret it correctly. A technical perfumer, quality controller, evaluator or a chemist can perform the GC-MS analysis, and the job has to be finished by a creative perfumer, who may be able to create a more convincing reconstruction by smelling the scent. Deliberately inducing selective anosmia is a popular trick for copying fragrances. The fragrance industry is somewhat peculiar, also, in how many of the competitors are each others’ customers. A perfumer in one company may wish to use a material created by another company. One company might specialise in natural materials, while another is strong on aroma chemicals. I’ve listened to sales conversations in which both participants are selling something to oneanother. One person is buying in a base, and at the same time, selling a natural absolute to the other. Buying in materials directly from the source is a fantastic way for a supplier to ensure a competitive edge, but it’s wise to keep the sources to oneself or a competitor might snap up next season’s crop. Natural materials do run out all the time – and natural material suppliers offer opportunities to reserve a part of the season’s supply for important customers. Keeping various internal networks and relationships secret therefore doesn’t stretch to just the fragrance supplier-(brand)-consumer; it is absolutely vital to certain aspects of how the industry operates internally. All of the above goes some way towards explaining why the industry relies on relationships and a degree of secrecy to stay viable. There are many situations in which it would be detrimental to the whole industry to ‘let the cat out of the bag’ to the degree that many campaigners seem to want. This represents a difficult entry to the world of perfumery for people who attempt to study it on their own. Self-studying perfumery is like trying to accurately describe the inside of a ball of rubber bands, whilst only being able to see the outside of it. Or like looking for a needle in a haystack, complete with several fake needles and fake haystacks. Or like the Indian parable of blind men and an elephant. Not knowing what you don’t know can lead to mistakes, frustration, and to incorrect assumptions about the true nature of things. The main benefit of getting mentored by a conventionally-trained perfumer, is the passing down of insider knowledge, and of known combinations and good accords. 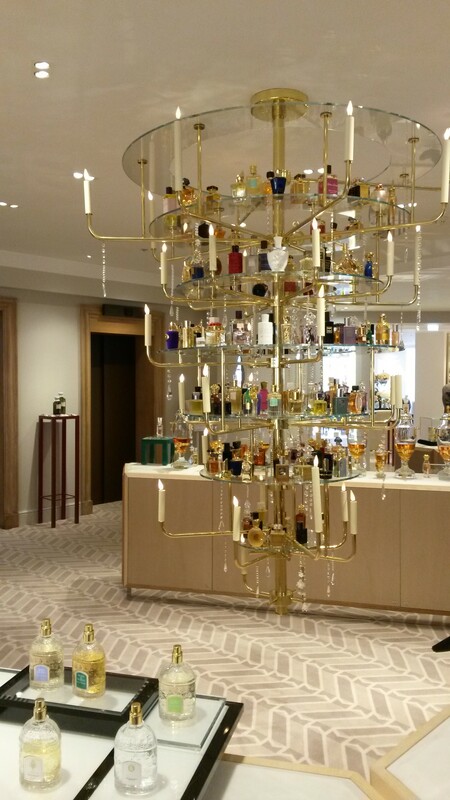 A perfumery tutor today carries the knowledge of decades of experimentation. You could spend a week trying to create the creamiest possible incarnation between vanillin and ethylvanillin, when an experienced perfumer, carrying in his or her head the received wisdom of all the generations before, could tell you in seconds what works. And once you know the basics, it’s easier to be creative. Amateur-would-be-indie perfumers are at a disadvantage because they have to re-invent everything, and much of the information in the public domain is outdated, misleading or plain wrong. Those who make it, and produce beautiful, commercially successful perfumers despite of this, are a celebration of human creativity and endeavour. The biggest obstacle to amateur perfumery is time. I think it’s fair for perfumery to retain some of its magic. I think it’s fine for the notes lists in perfumery marketing materials to be somewhat fictitious (but I don’t think it’s fine to lie to consumers that a product which contains synthetic materials is “all-natural” because that only goes towards creating a false divide between natural and synthetic chemicals). What the industry needs, however, is far more accessible education for both consumers and people who wish to work in it (independently or not). Copyright Pia Long. You may not reproduce this article in any publication without explicit prior written permission. If you want to use this post for staff training, or for any internal educational purpose (at a school, university or any other organisation), please use it under these conditions: 1) it must remain complete, unaltered and include this notice, 2) you must include the complete URL to this page and my name, 3) you must not include it as part of any training for which you are charging a fee (without explicit prior written permission). * The Coca Cola point was added by Walter Paget in a lively discussion about this article on the Perfumer & Flavorist LinkedIn page. * Please take everything you see at the EWG with a pinch of salt. Its mission seems to be to scare consumers, not to inform them. Whilst some of the data they use is undoubtedly of interest, the way it’s represented is not designed to help anyone make correct judgements – it seems to be designed to scare consumers into buying “safe shopping” guides, and into making donations. The way many of their articles are written seems to suggest that safety is a binary condition; that things are either safe or not safe. This couldn’t be further from the truth. Water is safe until you drink too much of it in one sitting (at which point your salt balance goes out of whack, your brain swells and you die), or end up with a thimbleful in your lungs (at which point you could drown). Over the years I’ve worked behind beauty counters, behind-the-scenes at brands and distributors; in product development and marketing. I love to try new products but there are some which I repurchase time and time again, and new discoveries which instantly go on my Top (uhh, 100?) Favourite Products Ever list. Favourite products have to fulfil the following criteria: 1) Be reasonable value for money (nothing is priced based purely on the cost of ingredients, but I don’t look for prestige and status symbols, I look for good formulas, convenience and functional packaging), 2) Do what it claims, 3) Not aggravate my tendency for adult acne, 4) Smell mild or at least not obnoxious, 5) Have packaging which doensn’t leak, break or make the product annoying to use. I am particularly picky about foundation products – they have to perform exceptionally well (I have ageing, very pale combination skin: foundation should not sit in pores, should not slip off, should not make my skin look old and flat and the product must not cause breakouts). I switch my skincare and make-up products based on whether my skin is feeling oily, normal or dry. Even on my dry skin days, I avoid products too heavy in cocoa butter and silicone (the former seems to break me out every time and the latter when used in excess). During winter, I have a slightly different rotation (and for freezing weather absolutely swear by the rich creams for dry skin in the Swiss Louis Widmer range; available scentless or perfumed in old-fashioned Nivea-style). Clarins eye balm + Normaderm Anti Age face cream + a few drops of La Roche Posay SPF50 + Bourjois Happy Light Matte Serum Primer (to date the only primer which has actually minimised my pores, not interfered with my make-up and performed as promised). Bobbi Brown concealer where needed. LilyLolo mineral make-up applied with a large kabuki brush (the one they stock is lovely) OR Bourjois Healthy Mix applied with fingers (Bourjois Healthy Mix is also fantastic on excessively humid days or when your skin is perspiring – ladies with hot flushes, take note – the water-based gel texture doesn’t crumble off and slide down your face if there is water on your skin). If using liquid foundation, finish off with the MAC prep + prime powder (roll and press down a powder-saturated puff on your face and buff off with a soft, large powder brush). If extra coverage is needed, a layer of MAC Mineralize Skinfinish, buffed on with a large kabuki brush will finish the job. Estee Lauder eye serum + Clarins eye balm + Vichy Aqualia SPF25 (with a few drops of the La Roche Posay SPF50 mixed in if going somewhere sunny). Concealer where needed + No7 Stay Perfect foundation applied with a beauty blender. Followed by MAC prep + prime powder (as above) and if extra coverage is needed, a layer of MAC Mineralize (as above). Estee Lauder eye serum + Clarins eye balm + a face serum (here are the ones I like) + Idealia cream + La Roche Posay SPF50. Concealer where needed + No7 Stay Perfect foundation applied with a beauty blender. MAC powders as above. In addition, I might use some MAC Mineralize highlighter. I also like the Clarins and Decleor face oils (as special treats – have to be careful with face oils or I get breakouts), but used instead of nightcream they work really well. I often use the Vichy Normaderm Anti-age at night. Vichy also does a fantastic retinol treatment product (Vichy Liftactiv Advanced Filler Cream), which I use about once every two months for a week (and then the following week the top layer of your skin rolls off – not attractive). Which brings me to my new top hero product: La Roche Posay Cicaplast Baume B5. It’s an anti-bacterial skin repairing cream and it is so good I’m on my second tube and have ordered one for my husband, too. What I’ve used it for: 1) on that post-retinol treatment week when your face is peeling off; it soothes the reddened skin and moisturises the dry bits so you can apply make-up and not look like a decaying zombie (I carry the tube in my handbag for touch-ups during the day when I’m using it for this). 2) As a hand-cream (I wash my hands so much that my hands are sore – this is wonderful on them), 3) on my husband’s excema (it’s the only product to date that has cleared it), 4) on post-folliculitis skin on my arm (I had a long bout of sore skin on my right arm which is finally healing because of this product). This stuff is fan-tas-tic. I’m 42 and don’t look bad for my age. I have fine lines around my eyes and on the forehead, my skin is starting to sag and I definitely look older than I feel I ought to (when you get older and look in the mirror, there’s a little double-take sometimes – this isn’t me…). My genes in this respect are good; my mother looked young for her age until cigarettes destroyed her looks and I’ve avoided excessive sunbathing all my life. However, I like to think (partly to justify my product obsession) that using good products and having a skincare regime from an early age has done something to help, too. Top left: No make-up; straight after a Finnish sauna. 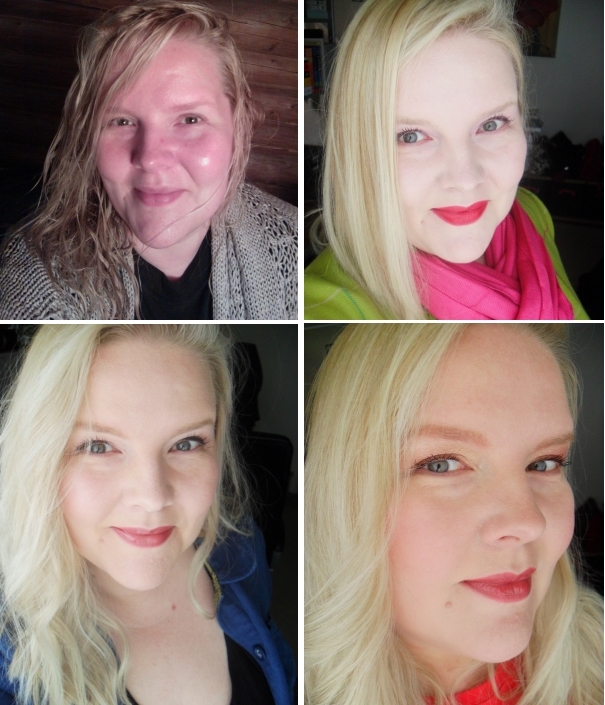 Top right: Full make-up using a 50/50 mix of Chanel Pro Lumiere and Revlon Photoready. Bottom left: Soft make-up, using Shu Uemura Skin Architect. Bottom right: Everyday make-up using No7 Stay Perfect. *There may have been other reasons, such as creativity, travel, behind-the-scenes excitement and the ability to work freelance.